Even if you're being very careful while dying your hair, the hair dye can still spatter the walls, floors and counter tops of your bathroom. While the dye can easily be wiped off the walls and the counter tops, if your wood floors have dye on them the process might be a bit harder. Luckily for everyone who chooses to dye their own hair at home, there are a few household products that will get rid of the stain quickly (and without hurting your floors). 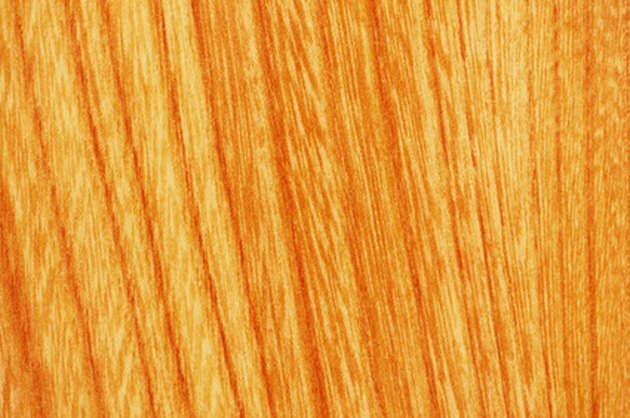 Don't let your hair dye stain and ruin your wood floors. Pour one tablespoon of baking soda into a small bowl. Add a half tablespoon of vinegar to the baking soda. Use a spoon to mix the two products together. You want the consistency of the mixture to be thick enough that it doesn't drip off the end of the spoon. For larger stains, double the baking soda and vinegar. Apply the mixture to the stain using the spoon or your fingers. Ensure that the entire stain is thoroughly covered by the mixture. Keep the mixture on the stain for 15 minutes. Wipe the mixture off of the stain using a piece of paper towel. Soak a cloth towel in cool water. Completely rinse off the once-stained area to ensure all of the baking soda mixture is removed.